Do you have a Residential Pest Control problem? Insects and rodents are unsafe, a nuisance, and lets face it, they’re just gross. Many of these common household pests can carry and transmit germs and diseases. Some can sting, bite and leave droppings in and around your home causing unsanitary conditions, as well as compromising the comfort and health of your family. Fortunately for the residents of the Portland Metro area, Bloom Pest Control can eradicate these types of pests from your home in an ecologically sound manner that is also kid and pet friendly. At Bloom Pest Control, we care about your business, and customer satisfaction is always our #1 goal. With Bloom Pest Control you can expect a professional, polite, discrete and experienced technician to perform your needed services. Our Pest Control Technicians will discuss your issues, and give you recommendations to rid you of your unwanted pests. Our technicians are experts in pest removal and control. They are licensed in Oregon and certified to perform pest extermination using solutions approved by both local, state, and federal authorities. Bloom Pest Control is highly experienced in treating infestations and keeping the bugs and critters out of your home on an ongoing basis. Our friendly and highly experienced pest control technicians will discuss your pest issues as well as formulate a plan to rid you of your unwelcome visitors. Bloom Pest Control uses the following two approaches when it comes to pest control and management. We also use Integrated Pest Management plans, combining the use of green friendly products and knowledge of pest life cycles along with environmentally sensible practices, causing the least damage to the environment, pets and humans. Learn more about Integrated Pest Management from the EPA. 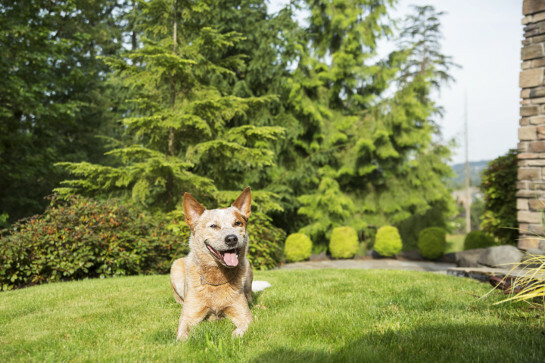 Our Green Balanced Approach utilizes pet and human friendly pesticides to keep unwanted critters out.